Milka is married to an Englishman, Ben, who works in Agro-forestry for a UK based charity, FARM Africa. They had travelled a lot in Europe, America and Africa, before setting up home with their daughter in Addis eight years ago. Milka said she had a vision of her dream shop while at home one day. 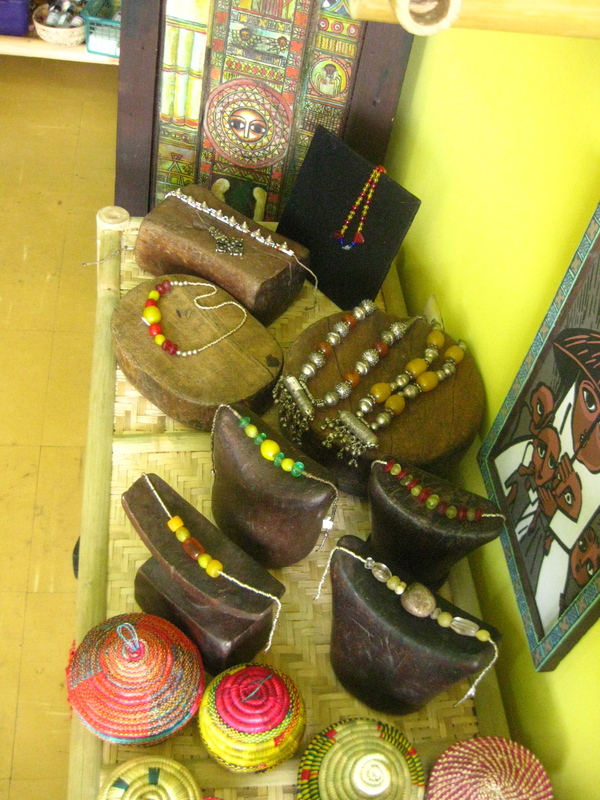 She decided she would sell sustainable and fair trade African goods, natural beauty products, and textiles and toys made only by local cooperatives of disabled women. Milka travels Ethiopia visiting these cooperatives and sourcing her ware, including the rare beads and old silver to make her jewellery. 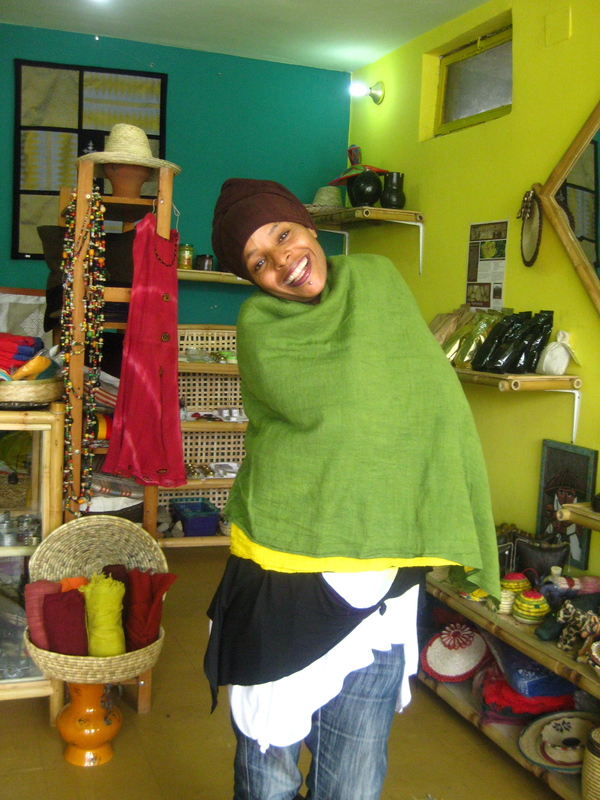 One of the groups she buys textiles from is ALERT, a handicraft operation of the Berhan Taye Leprosy Disabled Persons Work Group, which is connected to the hospital in Addis Ababa. The forest honey, herb teas, soaps and face products come from Ecopia, an organic food, cosmetic and medicine company from the South of Ethiopia that supports small scale local farmers. “Many of the people working there are also deaf,” says Milka. ….Great job , realy cool and colourful writings/pictures . Yes, Milka’s shop is in Addis. It is on Abware Rd, and just around the corner from the Abware soccer field – which seems to be known by everyone there. Are you visiting? 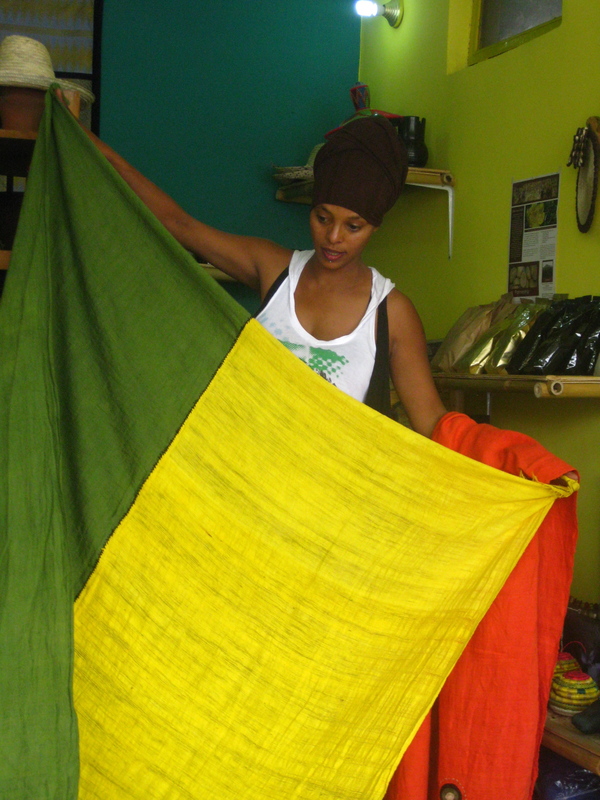 Is your store in Addis Ababa? If yes, what is the location?